What a happy cross Dixie is! She looks exactly like a GSD but is just more refined looking. And unsurprisingly she is a sweet natured girl. The lurcher temperament, carried in her genes, means that she is very amenable and probably less challenging than a full shepherd might be. Sometimes a crossbreed can be a sad mistake. Happily this is not so in Dixie's case. 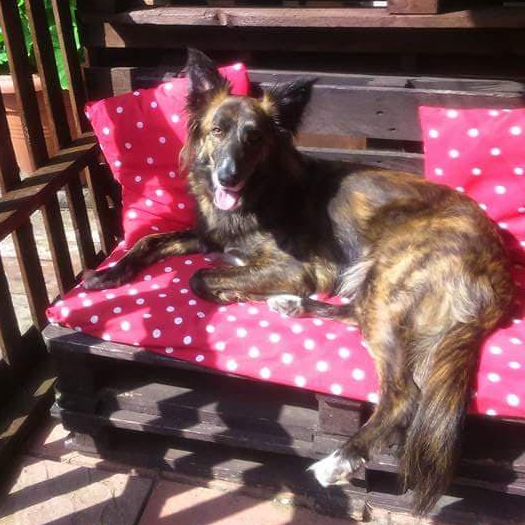 Dixie is not being rehomed due to any fault in her: her owner's health issues do not permit her to walk Dixie any more and she feels that she deserves a better life. She is very ball oriented and chases a ball in the garden, as her only exercise currently. 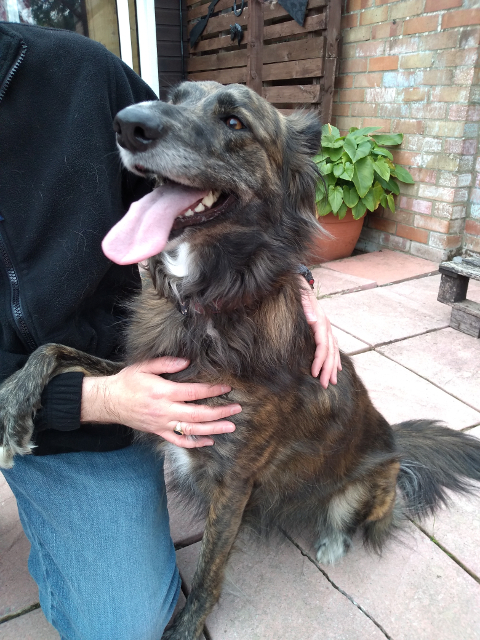 Our assessor found her to be a charming affectionate girl who was very pleased to see visitors. She is completely friendly but is excitable and does jump up. But in all this she is very gentle. She is said to be good with young children but in view of this we would only be happy to rehome her to a household with older children only. Dixie is naturally particularly excited to be taken out. As this is such an unusual treat for her, these day, she was very excitable and did pull strongly on the lead. We have stated that it is unknown whether she is aggressive with other dogs, as we were not able to establish this personally. Her owner says that she ignores other dogs and this was the experience of our assessor, who said that she did not react to dogs barking in gardens, as they passed. We could not carry out a thorough dog test however as, at the time of the assessment, and there were no other dogs around. 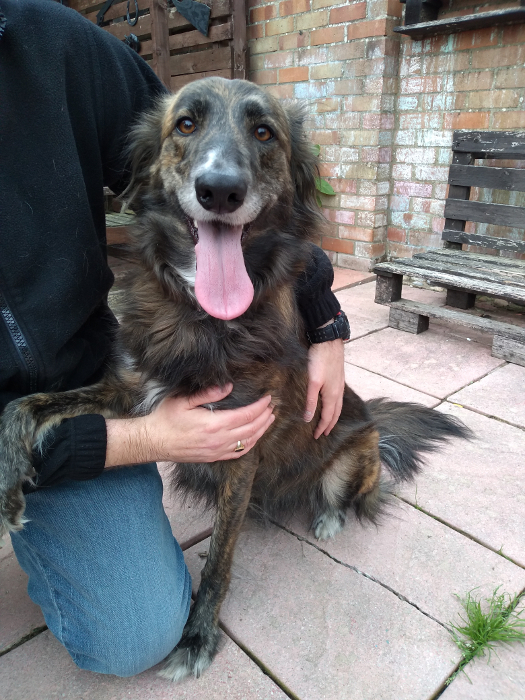 All in all Dixie is a lovely girl who will become a loving loyal family member. Have you room in your heart and home for this lovely girl?